If you haven’t guessed it by now, how fall obsessed I’m then welcome to yet another fall themed blog post. It is that weird fun time of the year, where days can be chilly that you feel it’s going to be a long wait until we reunite with the gorgeous warm sunshine, and then there are those days where you pack yourself up before leaving the house and find your self sweating like a pig. So today I thought I’d share few wardrobe essential that I think are perfect for that in between phase. PLAID SHIRT : This one is something I have to blame it on pinterest for getting me hooked onto. It’s wonderful for make your feel fall-ish without making your break a sweat on those humidity in between days. You can wear it over a tank top, on its own or even under a light sweater. LONG SLEEVE STRIPED TEE : It’s one of those classic timeless pieces that blends into any seasonal vibe. Dress it up, dress it down. 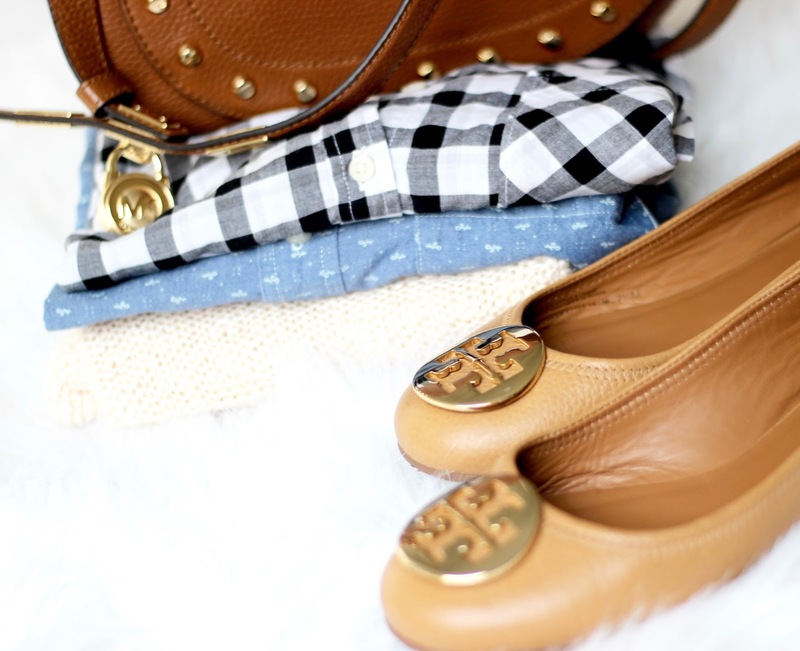 It is the year round safe heaven when it comes to wardrobe essentials. LIGHT CARDIGAN : This one is easy when it comes to keeping you warm yet breathable. Easy to carry around when you know you have a long warm/cold day ahead of you. It won’t suffocate you, yet will keep you comfortable when it gets a bit stingy. FLATS : These can be anything from pointed toe flats to ballet flats, they are good way to keep you from chilly feet, when it isn’t cold enough for heavy boots neither warm enough to rock your sandals. 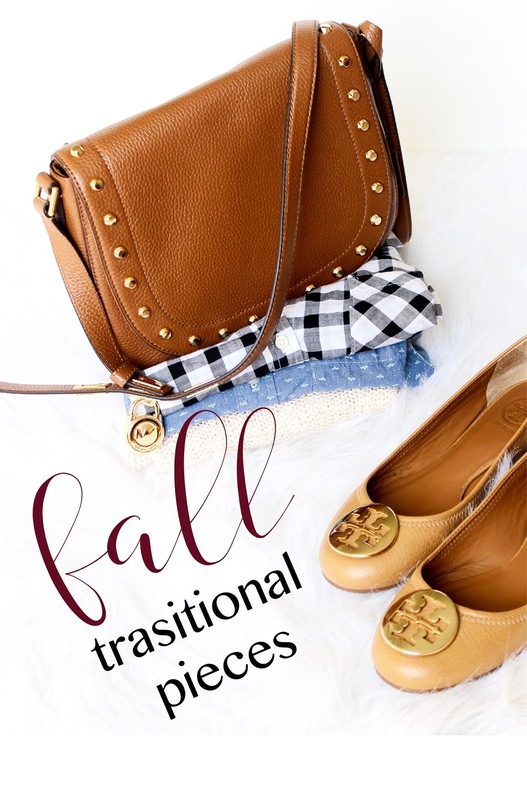 A classic must have when it comes to transitional months. BROWN BAG : I think there is something about the color that makes it just perfect for fall. It can instantly add the warmth to any basic outfit and make it season appropriate. SILK SCARVES : Trendy, classy and a bit comfy too? A must have accessory when it comes to clothing staples. Tie it around your neck or accessories your handbag. This is a versatile piece that can amp up any outfit. 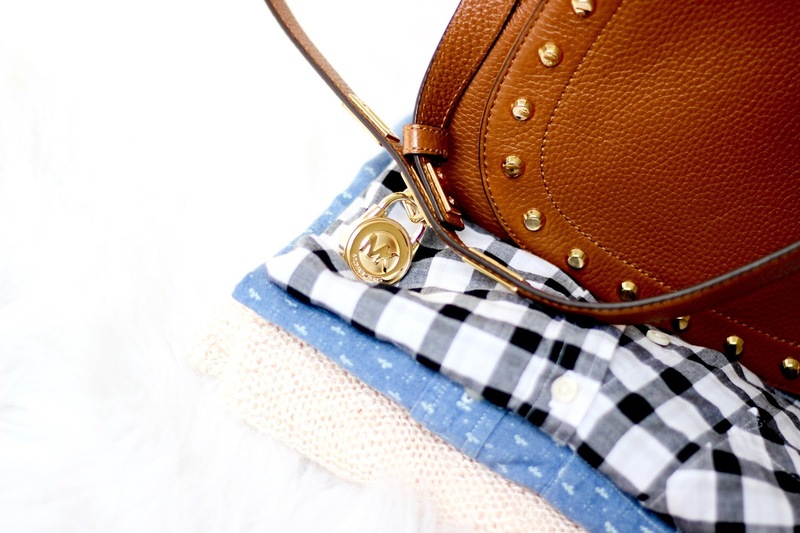 What are your fall wardrobe essentials ?